Northwestern scientists have used an innovative gene editing technique to identify the genes that may lead to Parkinson’s disease after exposure to paraquat, a commonly-used herbicide. 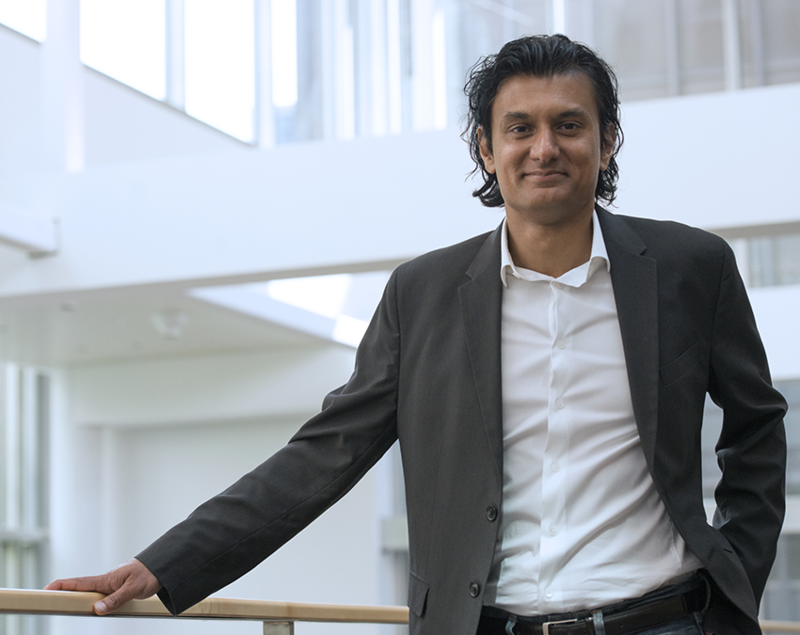 This study, which utilized the CRISPR-Cas9 gene-editing tool, serves as a proof-of-concept for using genetic screens to investigate the biology of oxidative stress, according to senior author Navdeep Chandel, PhD, the David W. Cugell, MD, Professor of Medicine and Chemistry of Life Processes Institute member at Northwestern. The study was published in Nature Chemical Biology and the first author was Colleen Reczek, PhD, a postdoctoral fellow in Chandel’s lab. Other authors included Chandel lab members Hyewon Kong, a student in the Walter S. and Lucienne Driskill Graduate Program in Life Sciences, and Inmaculada Martinez-Reyes, PhD, a postdoctoral fellow. The use of paraquat, which causes cell death via oxidative stress, is restricted in the United States and banned in the European Union, but the chemical is still used widely throughout Asia and the developing world, according to Chandel, also a professor of Cell and Molecular Biology. Ingestion of paraquat can lead to lung fibrosis or even death, but a 2011 study linked occupational use to an increased risk for Parkinson’s disease, renewing interest in its impact on humans. A major cause of Parkinson’s is the loss of function in dopamine neurons in a small brain region called the substantia nigra pars compacta, according to previous research. Those neurons are known to be highly vulnerable to oxidative stress, leading scientists to hypothesize paraquat was linked to Parkinson’s disease through this oxidative stress. “Paraquat generates a lot of oxidants. Naturally those dopaminergic neurons will be the most susceptible to damage,” Chandel said. However, the mechanism by which paraquat created oxidants was unknown — until now. Chandel and his collaborators conducted a CRISPR-Cas9 positive-selection screen, creating thousands of cells, each with one individual gene turned off. They exposed that subset of cells to paraquat – the majority of cells died, but not all of them. Certain cells with knocked-out genes were resistant to paraquat, suggesting those genes may be responsible for the toxicity. Scientists identified three genes whose loss conferred resistance to paraquat: POR, ATP7A and SLC45A4. POR, a protein in the endoplasmic reticulum, was fingered as the main source of oxidation that caused the damage. Pinpointing these genes could help identify people who are especially vulnerable to paraquat, Chandel said. “Certain people with genetic mutations could have high levels of this gene. They would be very susceptible to paraquat poisoning while working on a farm, for example,” he said. However, the most impactful takeaway from the paper may be as a proof-of-concept for investigative biology of oxidative stress, according to Chandel. POR had been previously implicated in oxidant generation, but the majority of evidence had pointed to systems in the mitochondria, according to the study, and no definitive answer had emerged until this study was conducted. Investigating oxidant stress could pay dividends in the future, according to Chandel, including in the development of drugs designed to generate oxidative stress in cancer cells, killing them while leaving healthy cells alone. While some drugs currently exist, not enough is known about their pathways to create a functioning compound, Chandel said. This work was supported by a National Institute of Aging grant (5P01AG049665), a National Institutes of Health postdoctoral training grant (T32 HL076139-11), a National Institutes of Health pre-doctoral training grant (T32 CA9560-30), grants from the National Institutes of Health (K22 CA1936600), a Searle Scholar Award, an Irma T. Hirschl/Monique Weill- Caulier Trust Award, and the Sidney Kimmel Foundation. Originally published on Northwestern Medicine News Center. Written by Will Doss.